Back Row: Tony Swift, Gareth Chilcott, Mike Lloyd, John Mallet, Ben Clarke, Pat McCoy, Nigel Redman ,Ian Sanders, Steve Ojomoh, Colin Atkins. 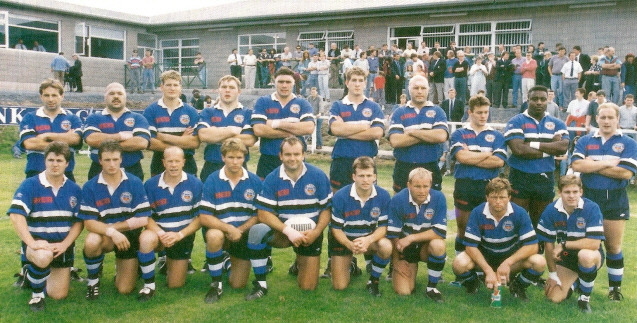 Front Row: Stuart Barnes, Mike Catt, Richard Hill, Phil De Glanville, Jon Hall (Capt.) John Callard, Andy Robinson, Graham Dawe, Iestyn Lewis.